Although you can leave your fences or trellis as they come, it does help to treat the wood to aid longevity. 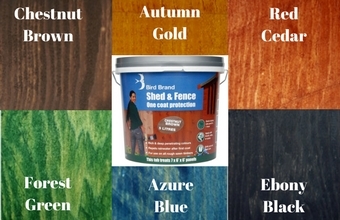 We have a range of treatments and preservatives here at Sydenhams that not only protect your panels but are also available in a range of colours to compliment your garden and home. Bird Brands supurb One Coat Protection can be spray, roller or brush applied. 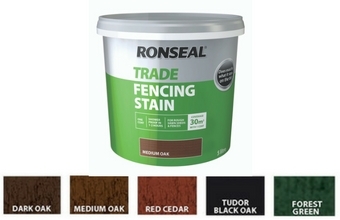 Its special blend of waxes and pigments means it can cover over existing colours and repel water from penetrating into timber. Traditional, solvent based preserver. 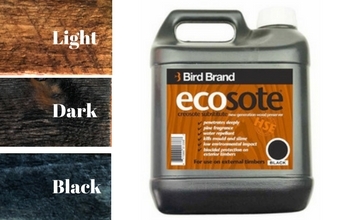 Prevents against rot, decay and wood discolouring fungi. It will also protect against woodworm attack. 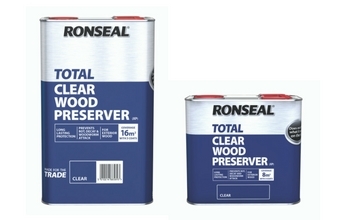 An environmentally friendly wood preservative for exterior timbers. Containing 2 active ingrediants (boron & biocide), it preserves and protects timber from fungal attack, green algae growth and decay. Although its water based it penetrated timber just like a solvent based wood preservative. 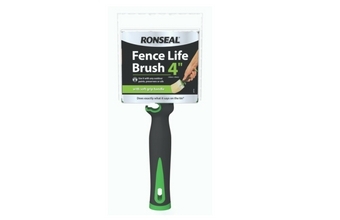 Ronseals Fence Life brush has been designed for a better product pick up and coverage, ensuring the best results from our Fence Life range. Handle incorporates a clip to secure it onto tubs and buckets.